GettyAn aerial view of the new Apple headquarters. The company has 489 live appeals in Santa Clara County, including one claiming that a cluster of properties around Apple Park is worth just $US200. Concerns over Apple’s elaborate efforts to reduce its tax bill are nothing new. The company – which hit a historic $US1 trillion valuation this month – was punished in 2016 for a tax deal in Ireland, which the EU said amounted to illegal state aid. But a newly discovered tactic has reignited the debate about the company’s tax contributions. The San Francisco Chronicle reported over the weekend that Apple was “aggressive in opposing tax assessors,” the public officials who determine the value of property for tax reasons. Apple may be the biggest taxpayer in Santa Clara County, where its Cupertino headquarters is based, but The Chronicle said it had 489 open tax appeals in the area, disputing $US8.5 billion (£6.7 billion) in property value. 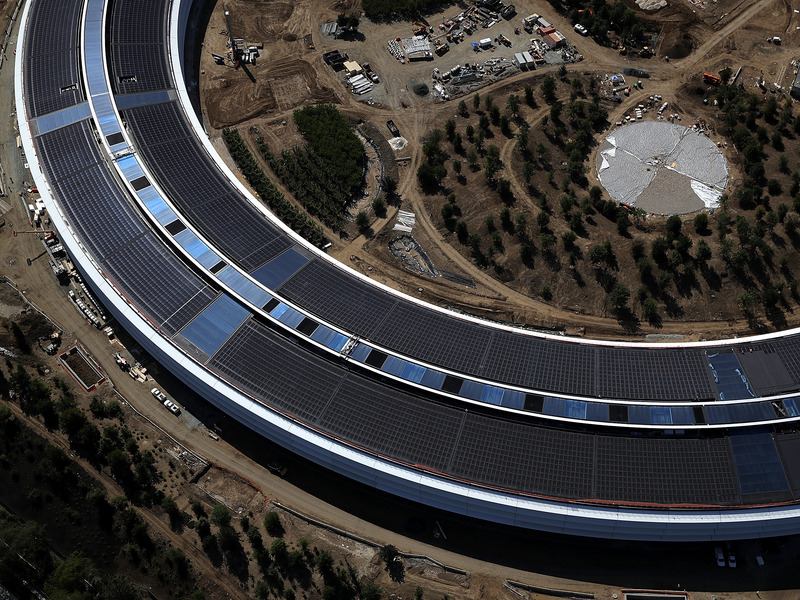 In a 2015 appeal, Apple claimed that a “cluster of properties” around Apple Park was worth $US200, rather than the $US1 billion figure alighted on by Santa Clara County’s tax assessor. In another, Apple said a property valued at $US384 million by local officials was also worth $US200, The Chronicle said. Apple CEO Tim Cook has said the firm pays its taxes properly. “In every country where we operate, Apple follows the law and we pay all the taxes we owe,” Cook said in an open letter in 2016.